For the first time ever, cyclists are invited to join over 500 horses, heavy wagons and tramping kiwis in the annual Goldfields Cavalcade to Owaka. Click here to enter! 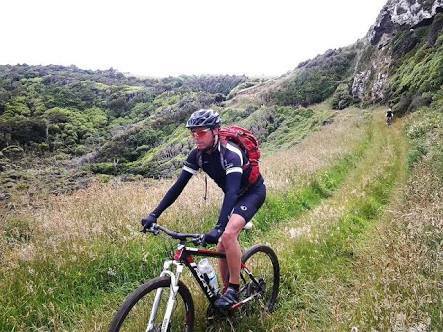 Kicking off 2018, Goldfields Cavalcade is adding a 4-day cycling trek to its event, starting at Kaitangata on 27th February and weaving its way through forests, beaches and backroads, culminating in the Grand Parade in Owaka on Saturday, 3rd March. We caught up with Terry Davis, the organiser for Goldfields Trust, to find out more about this iconic event. Each day will start with a briefing… where we’re going, how long its expected to take, how far to the next toilets! When will lunch be… as well as what interesting historic tidbits we’ll likely encounter along the way. What is a Cycle Cavalcade? The Cavalcade started out as a re-enactment of the 1862 exodus of every able-bodied man out of Dunedin to the goldfields of Central Otago. Stories were told of a line of men coming over the Dunstan Trail, so in 1991 over 250 people retraced these trails, originally riding on horses or in wagons. A few years later, walking trails were introduced and now, as the popularity of cycling and e-bikes has taken off, a cycle route has been added. It’s quite something to be part of – 2 wagon trails, 4 horse riding trails, 2 walking trails and a cycle trail will each start from a different point – but all converge in Owaka. (The host town changes every year, so the trails are always changing too). During the week, as they weave their way to the host town, people stay in woolsheds, community halls, tents and horse floats. Most trails are catered by a local group so the emphasis of a Cavalcade trail really is on the scenery and the back country you wouldn’t normally have access to plus the camaraderie of the shared ‘AWESOME’ experience of everything that you get to see, do and have happen to you on the trail! Why are you adding a cycle route? Cycling is such a popular recreational pursuit these days it just makes sense to add a cycle trail to the Cavalcade. We typically get a few emails each year asking us to put one on. This year the Host Town (OWAKA) asked us to include a cycle trail as a great way to show off their region, particularly with its fabulous beaches and relatively flat riding areas. While bikes weren’t overly common on the goldfields, they were about in the early 1900’s … Many a story is told of the miners cycling between goldfields or even riding from as far away as Christchurch! Otago Trust is a not-for-profit organisation – the cavalcade is not a tourist venture. Quite the opposite. It’s kind of a secret of the South. We only do it once a year and typically it’s local farm people, wranglers and outdoor enthusiasts who do it. The cavalacde feels authentic – because it is! All heading off together with a common purpose builds a real sense of camaraderie which is added to each night around the communal food hall and sleeping area. You will make some great friends, hear about the local history – and by the end of it you’ll be rolling your RRRs like a real South Islander! Something else that is quite special is the grand parade at the end. The cycle trail will be leading out in front of 2 walking groups and 6 horse trails. There will be hundreds of people lining the street, plus we usually get a huge contingent of campervans visiting – it’s quite cool to be a part of a large important event! 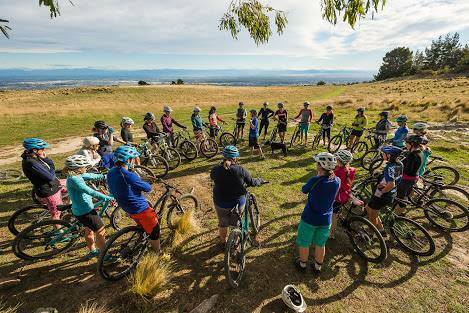 The ‘Kaitangata Cranckster’ trek meets at Owaka at between 4pm and 5pm on the 27th February, we will leave all our cars, load our bikes and hop on a bus to our dinner and accommodations at Kaitangata. 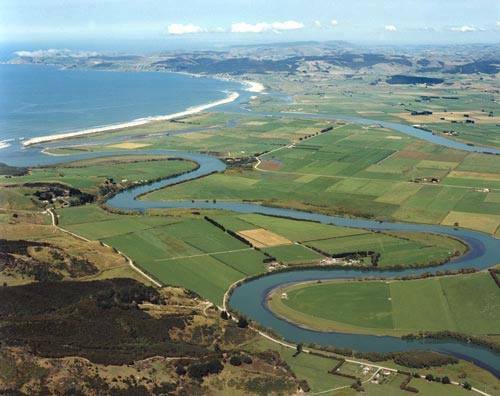 Wednesday 28th – We start the day with a bit of forestry and coastal riding before heading over the ‘Banana Bridge’ to Inch Clutha where the old punt will come out of retirement for us to get across the south branch of the Clutha River, then a flat ride into Kaka Point. 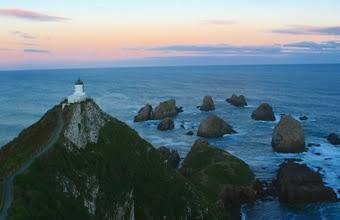 The Nuggets’ so called after a ship captain first saw them on a particular morning as the sun was coming up and the set the rocks alight with a golden glow! Friday 2nd – Down a gravel road to Cannibal Bay, along the beach and over to Surat Bay, more beach riding and ‘Hookers Sea Lion avoiding’ before onto a few wee roads and into Owaka. Saturday 3rd – A morning’s ride over Catlins Lake and around a coastal road to Jacks Point before a bit of cross country to Jacks Blow Hole. Back to Owaka in time to get changed into our period costumes for the Grand Parade. How hard or how easy is it? How fit do you have to be? This is a relatively easy riding trail. 20-30km per day. Mostly flat riding but a couple of wee hills that you will need to hop off and have a wee push (that’s why they’re called push-bikes after all! ) You need a relative level of fitness but if the group gets ahead they will stop and wait. Also e-bikes are very welcome on this trail! It would be cool to have a few ‘olden days’ bikes but realistically we see the e-bike making cavalcading available to a whole new group of people. It’s all about participation. There is no competition so who cares? Like the walking and riding trails we expect most people will be early retired or a bit older, and we sometimes get empty nesting parents ‘shouting’ their older son or daughter or catching up with their siblings. However this is not a family with young kids ride – you have to be older than 15 years of age. Not too much of this but a wee bit of farm tracks through the lush Catlins farmland. Where do you stay at night? Our accommodation is pretty rustic! Community halls, woolsheds, surf club rooms… so long as there is somewhere flat to lay your bedroll and walls and roof to keep most of the draft out we are happy! You don’t have to cart your gear around – we have a back-up vehicle to transport all your gear to each night’s accommodations so you can bring a stretcher if you want and during the day you just have to take a day pack or small pannier. Showers are not abundant but we will be stopping for a swim at the beach every day. At camp there will be a low pressure water blaster to clean the salt off the bikes each night and if you ask the person nicely I’m sure they’ll give you a hose down too! For those who prefer to sleep in their own tent that is fine. You might have your own campervan and if your partner or a friend want to drive to each night’s lodgings that would be fine also – they will need to pay a ‘back-up’ fee and will be included in all the evenings meals and hilarity also. Do caterers have our dinner all set up for us at the end of each day? It’s fully catered. Seasoned cavalcaders say one of the best treats of the trek is to wake-up to a hot cooked breakfast – good South Island tucker – bacon and eggs, porridge and even muesli or yoghurt for the city folk. At night you bring your own beer or wine and apres cycling snacks – but nothing beats a good pork roast with crackling and sticky date pudding, made by our caterers. For lunch, you get to make a sandwich in the morning (bacon butty!) and we usually provide fruit and sticky brownie or carrot cake – so you’ll be well fuelled up! Who doesn’t enjoy a good cup tea after day on the Trail or Big night out? 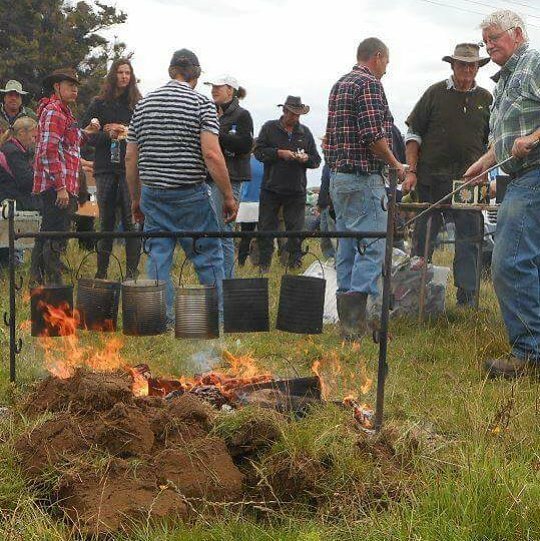 World Famous in the Catlins, Billy-Tea will be available at the Goldfields Cavalcade Breakfast. Prepare for lovely weather and glaring sun – a bandana to wet in the rivers is cooling!. But also be prepared for wet and cooler temps – you never know what you’re going to get! You must have helmets and need to bring your own bike but you can hire locally. Prepare for colder nights. Bring a good sleeping bag and air/foam mattress, a basic First Aid Kit for you and your bike will be required – though there will be a medic for people and bikes on the trail also. Where can we enter or follow the Trail? The cost is $500 per cyclist and there is a limit of 50 people. If you choose to have someone meeting you each night with the campervan (and they wish to enjoy fully-catered food), they pay this fee too. You can enter by clicking here – and if you follow us at cavalcadebikingtrail on Facebook we’ll be posting more details as we get closer to the event. Don’t forget to buy your Dinner and Hoedown Tickets for the Saturday night – Owaka residents are going all out to put on a good night for us! Any questions please contact terry@cavalcade.co.nz.